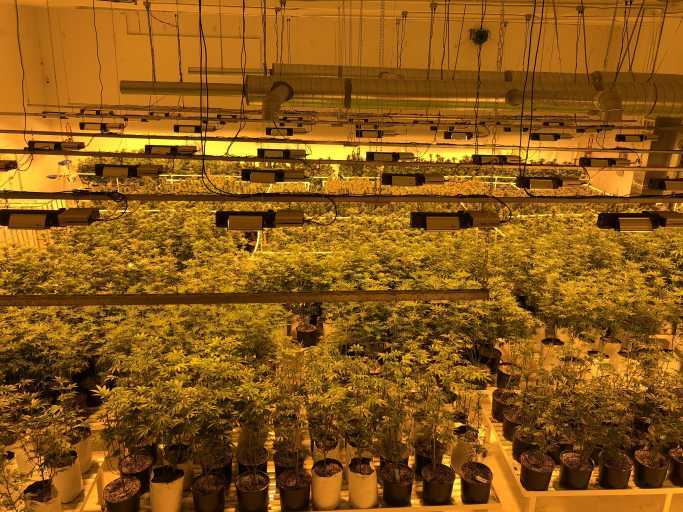 TURN KEY - Colorado Recreational Cannabis Cultivation and MIP(marijuana infused product) licenses ; app.5000 sqft INDOOR warehouse grows, extra warehouse not in use yet, storage containers; 4 bed/2 bath home on the 5 ACRE PROPERTY!! 1800-tier Plan Count Recreational Cultivation License & Recreational MIP (Marijuana Infused Products) Manufacturing License with Property! ROOM TO GROW TO OVER 10000 PLANT COUNT EASILY ON THE 5 ACRE PROPERTY!! Amazing turn-key grow operation in Pueblo with all approvals done and operational in all aspects. Grab this one before it’s gone! Pueblo County just extended moratorium for all new businesses until 2020, Highly expected and likely to be extended Definitely! Fantastic grow on 5 acres with ideal I-1 zoning in Pueblo County for marijuana because it is “right to use” for marijuana. App. 5,000 square foot Cement Indoor grow buildings (main ware house & grow modular) ,with option to extend the grow up with shelving for the main bud room, 2,240 square foot caretaker updated modular home on property with all new appliances, 24x24 Cement warehouse being used for storage currently plus 8' x 40' Cargo Storage Trailer for extra storage. New HVAC systems, electric upgraded to 3 ph, new hot water heaters, Engineered custom new Order Filtration System, Extra AC systems added, State required Security Camera/Dvr systems in place with Alarm Monitoring. New cisterns (have 1 million in receipts and labor to build). Main bud room lights are the latest technology Dimlux 1000w. All grow tables are built to custom size, trays, trimming machine. ONLY 5 minutes from Pueblo Downtown and Water Dispensing Station!! Water: City water, with septic on property. Cistern water for grows have 3,000 gallon plus 2,500 gallon tanks. In Pueblo you want to have cistern water for grows. All have been approved, inspected, metered, and passed by all required departments. Current zoning allows you indoor plus Green House & Hoop House outdoor. Ideal one-stop-shop property! State licenses renewal dates are March 31st of each year and Pueblo county renewal dates are June 26th of each year. Interested? We have options! Everything together with the property (possible owner carry with $500,000 down) - EVERYTHING FOR $900.000!!!! a steal !!!!! or Sell 2 Licenses only - lease property with all grow equipment for a long term LOW lease CONTACT FOR PICTURES AND MORE INFO! !